Founded in 1946, OMRF is dedicated to understanding and developing more effective treatments for human disease. Our scientists perform laboratory and clinical research in such critical areas as heart disease, cancer, lupus and Alzheimer’s disease. By studying the ways in which the human body functions, OMRF develops deeper insights into disease, then translates those findings into diagnostics and therapeutics. Through innovative laboratory research, our scientists help Oklahomans and people everywhere live longer, healthier lives. As an independent biomedical research institute, OMRF focuses its efforts and resources on discrete areas of biomedical research to maximize the impact of our scientists’ work. OMRF has made the strategic decision to concentrate on three fields of study: (1) immunology and cancer; (2) cardiovascular biology; and (3) Alzheimer’s and neurodegenerative disease. Through recruitment and training, we have built a faculty of internationally recognized immunologists, cardiovascular biologists and experts in the fields of free radical biology and protein studies. Our scientists’ work has resulted in a host of advances in medicine, including three life-saving drugs and more than 700 U.S. and international patents. Going forward, OMRF’s continued success depends on our ability to recruit scientists to sustain and grow our research programs. To this end, OMRF has completed the largest campus expansion in our history. 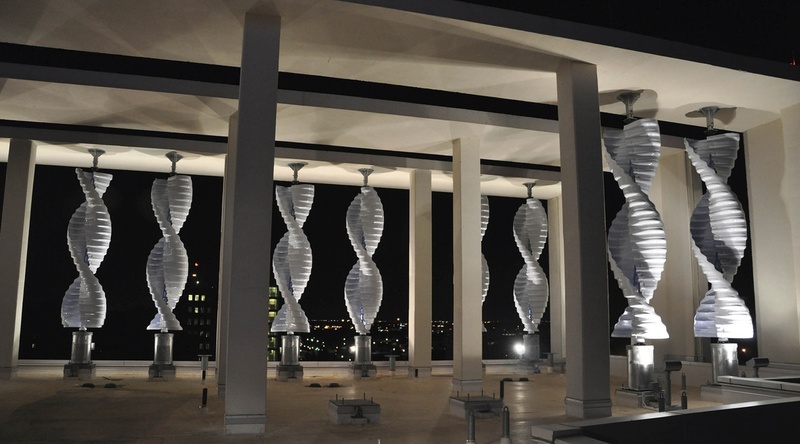 The centerpiece of this effort is its state-of-the-art 186,000-square-foot research tower. The new facility has enabled us to strengthen our research programs by adding new scientists, technicians and staff members. It also has provided an opportunity to build our clinical and translational research programs—areas that focus on transforming laboratory discoveries into better outcomes for patients. Medical research is capital-intensive: It requires laboratory space, lab supplies, sophisticated equipment, core technology facilities, highly trained technicians, administrative support and, of course, scientists. Because OMRF is an independent, not-for-profit institute, we are not part of a university or of the state and do not have access to certain fixed sources of income. Thus, we rely on a variety of sources to provide the funding necessary to achieve our strategic aims. Our scientists compete with researchers throughout the U.S. for grants from agencies like the National Institutes of Health and the American Heart Association. They have consistently enjoyed considerable success in this realm. For example, among the 86 members of the Association of Independent Research Institutes, OMRF ranked 4th overall in competitive grants obtained from the American Recovery and Reinvestment Act. Donations from individuals also represent a crucial part of OMRF’s operating budget. And because a charitable trust pays our administrative expenses, OMRF is able to use 100 percent of all donations to support scientific research. This charitable trust has helped provide OMRF with extraordinary stability for more than a half-century. How does OMRF measure progress? OMRF monitors and evaluates progress through a rigorous, systematic analysis of the breadth and depth of new insights made by our researchers. Each year, OMRF scientific administration evaluates each researcher according to the following criteria: publications in top-tier scientific journals, ability to obtain sustaining grant funding for their research, and success at translating laboratory innovations into diagnostics and therapeutics for human disease. In addition, all OMRF scientists and programs are reviewed on a rotating schedule by a scientific advisory board composed of distinguished scientists from around the U.S. The review board works closely with OMRF’s president and board of directors to assure that our research meets a national standard of scientific excellence. These processes ensure that each OMRF researcher is making vital contributions to science and to the battle against human disease. A comprehensive, up-to-date list of scientific publications can be viewed by clicking here.